When renting a storage unit it’s always good to go the next size up. Even if you are going to fit everything into a small unit that doesn’t mean won’t need more space in the future. 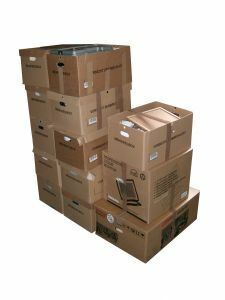 Talk with the property manager and let them know what you intend on putting into storage. They can recommend the best option for your items. This may seem to be overly detailed but it actually helps you organize your storage unit much more efficiently. This is especially important when you are keeping things in storage that you know you want to pull out on a regular basis such as holiday decorations or sporting gear. Bigger items like furniture or appliances should going to the back of the unit because you probably will need to grab them in a moment’s notice. If you are storing the sofa or loveseat, then they can be up ended to free up more storage space. You don’t want to stack things on top of a sofa because you could flatten out the cushions over time. You want to label your boxes with his much detail as possible so you know exactly what’s inside. The worst thing you can do is come back months later and spend hours looking for one thing. It might help to number the boxes and then make a master list of your inventory with the corresponding numbers. Although the journey from your home to the storage unit might not be far you still want to pack smart. That means wrapping valuables in bubble wrap or packing paper. You don’t want to make your boxes too heavy. If you can pick them up, then you probably over packed them. The most important thing you can do when it comes to organizing your storage unit is not pack any unwanted clutter. As you sort through all the items you want to put into storage you’ll probably find a lot that you can toss out. That’s where Junk King Dallas comes in the play. These junk removal pros won’t have any problem loading up all the things you want to get rid of on the back of their truck for fast disposal. Hiring Junk King Dallas to take away your rubbish is a smart way to keep your storage unit organized. This entry was posted in Dallas Junk Removal and tagged clutter, Junk King Dallas, junk removal, rubbish, storage unit on July 31, 2017 by Junk King. Last updated July 31, 2017 .